Jane was born in Truro, Cornwall on January 19th, 1807. She was the tenth child and sixth daughter of Thomas Flindell II and Mary Brunton. Tradition has it she worked with her father in printing and with her mother carried on the business after his death. In his Will Thomas directed the paper be sold, so it is more likely that she assisted her mother running the paper during Thomas’ incarceration for libel to Her Majesty Caroline Amelia Elizabeth of Brandenburg-Ansbach, Queen Consort to King George II. “Jane never married, her lover died of yellow fever on his way home from the West Coast of Africa”. “Aunt Jane died at Tom Bates house while he (Francis) was in Calcutta in the part of early 1883”. “the death of our dear sister Jane, some 18 months ago”. “the kind Simpson’s provided for us the last resting place. Poor dear Jane is its first occupant and the rest remains for Fanny and myself”. This would make Jane’s death about March 1885. “Jane has left the Bates. She was anything but comfortable there. Mary was not fit to have an elderly person living with her; she is too overbearing and jealous in her temper and Tom is too henpecked to dare to interfere if he had the inclination. Jane was completely cowed and borne down there and that is saying something. I think that where she now is that Mrs. Allison will do her best to make her comfortable, but by what I hear the husband is addicted to whiskey, which is not so very pleasant. However, she cannot have everything”. It would seem that, through the kindness of family, Jane was provided for in her latter years. There is a big gap of twenty years in her life, from her father’s death in 1824 to Fanny’s letter of 1844. She was not ignored. It is just that there is not record to draw on. Undoubtedly FBS, who lived in London just prior to migrating to Western Australia in September 1857, would have known his sisters’ circumstances. There is a bigger story here that probably will never be told. 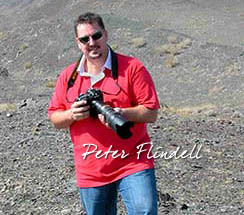 This is Francis Richard Flindell, son of Richard Brunton and grandson of FBS. This is the grandson of George Simpson and Mary Flindell. Jane’s eldest sister Mary (1794-1874) married George Simpson (1792-1871), and it would have been their children who continued providing support to Mary’s sisters. Mary married her cousin Thomas Bates. Mary was the daughter of John Brunton Flindell whose sister Sarah married Thomas Bates, their son being Thomas Bates II.